The same to C-700RSV, C-1500RSV is the same soft and slim series light but the biggnest in size until now. In USA some one call it Flapjack, really it is the big but beautiful flapjack light. 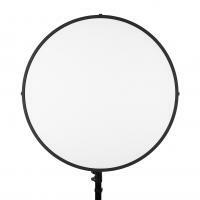 It is 800mm in diameter, aluminum made with thickness only 50mm. It is ultra big but it give very even light beam and larger lighting area. Bi-color temperature make it variable from 5600K to 3200K so that people do not need any color jel to reach their ideal color temperature. Besides, it is dimmable from 100% to 10% at each color temperature. 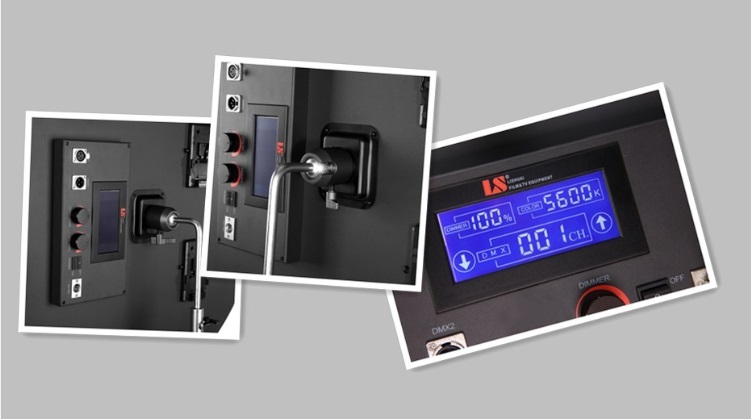 There is a big LCD screen at the back display the color temperature, percentage of the brightness and DMX channels. And 2pcs Sony type V mount to work with SONY V type batteries. With it, it can used for location work where AC powered is not be available. 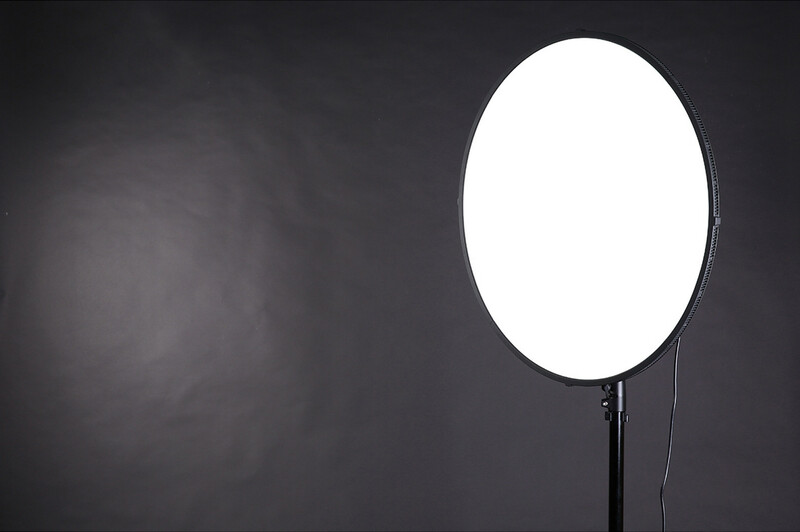 Besides, it the lateral mouting LEDs with light beam bounced from the inside diffussion panel make the light unique among all the LED photo and studio light.